The aging process is associated with gradual and progressive loss of muscle mass along with lowered strength and physical endurance. This condition, sarcopenia, has been widely observed with aging in sedentary adults. 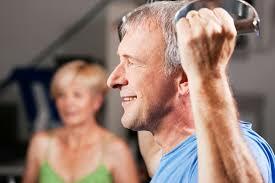 Regular aerobic and resistance exercise programs have been shown to counteract most aspects of sarcopenia. In addition, good nutrition, especially adequate protein and energy intake, can help limit and treat age-related declines in muscle mass, strength, and functional abilities. Protein nutrition in combination with exercise is considered optimal for maintaining muscle function. With the goal of providing recommendations for health care professionals to help older adults sustain muscle strength and function into older age, the European Society for Clinical Nutrition and Metabolism (ESPEN) hosted a Workshop on Protein Requirements in the Elderly, held in Dubrovnik on November 24 and 25, 2013. Based on the evidence presented and discussed, the following recommendations are made by Cruz-Jentoft et al. : for healthy older people, the diet should provide at least 1.0e1.2 g protein/kg body weight/day by Lanza et al. for older people who are malnourished or at risk of malnutrition because they have acute or chronic illness, the diet should provide 1.2e1.5 g protein/kg body weight/day, with even higher intake for individuals with severe illness or injury, and by Boirie  daily physical activity or exercise (resistance training, aerobic exercise) should be undertaken by all older people, for as long as possible.